This one’s a right laugh!! Download the MP3 above or scroll down to listen on YouTube and/or SoundCloud! 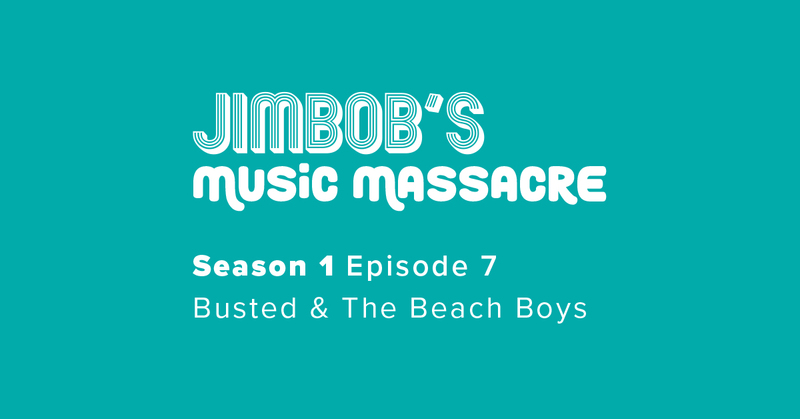 This week JimBob’s Music Massacre takes on the lyrical might of Busted and wonder exactly what it would be like living in a future as imagined by them… and also feel uneasy as they come to terms with the implications of a Beach Boys song. 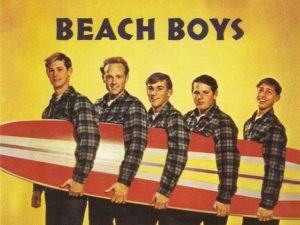 Let’s just say that this week the Beach Boys get Busted…or…Oh Boy, do Busted get Beached (think abart it!). 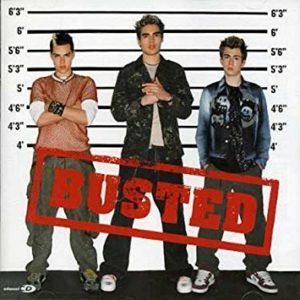 This is the penultimate episode in a series that playfully teases some of the host’s favourite artists (yep, the boys like Busted…well, Bob does anyway…and we’re pretty sure that deep down, Jim begrudgingly enjoys them too) about lyrics that don’t quite make sense!! Make sure to sign up to our mailing list (top right) so you get the freshly baked episodes directly into your inbox. 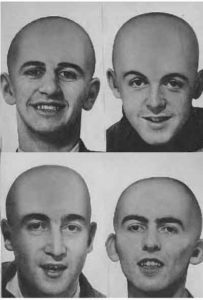 YouTube and SoundCloud links are at the bottom of the page but before you get there…have a look at what The Beatles might have looked like if they were bald. JimBob’s Music Massacre continues in its quest to decipher the true meaning of all those songs where the lyrics just don’t quite make sense. 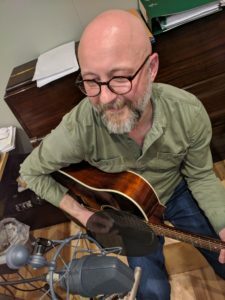 This comedy music podcast features live music from guest musicians as Jim & Bob knead out the lyrical knots from some of their favourite songs. 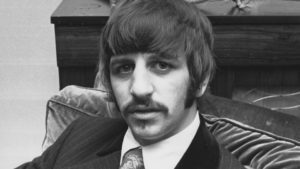 This week they are joined by guest artist Pheobe Wright-Spinks and guest producer Mika Watkins as they try and work out just what Ringo was on about in a Beatles song written way before they’d consumed a whole load of chemical excuses. 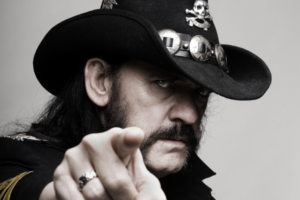 They also get into the nitty-gritty of one of Motorhead’s songs…even though if anyone had a chemical excuse for not making every line make sense; it would surely be Lemmy! CLICK HERE TO DOWNLOAD MP3 NOW! 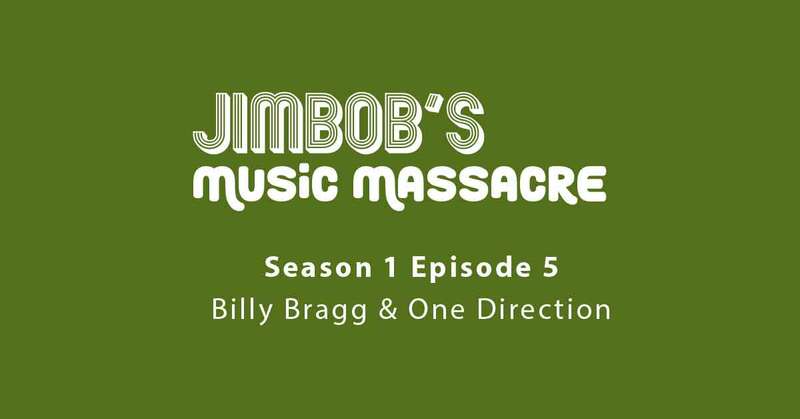 Jim and Bob’s weekly comedy podcast JimBob’s Music Massacre continues; featuring song lyrics and live music as they try to decipher all those not-quite-right lyrics that artists thought they’d got away with…until now!! 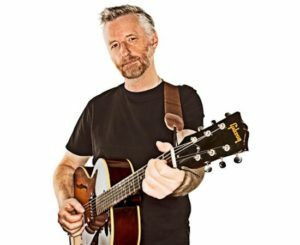 This week they are joined by guest artist Chris Price from the Unthanks to discuss how well Billy Bragg‘s song Sexuality might have gone down on the picket lines of South Yorkshire (where Chris hails from and the guys contemplate Chris might just be the best bassist ever to emerge from there). 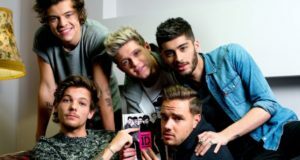 They also get themselves stuck into the infinitely regressive loop that is the song ‘What Makes You Beautiful‘ by One Direction, which might just be the thing that saves humanity from a Terminator-style robotic-dystopia!! 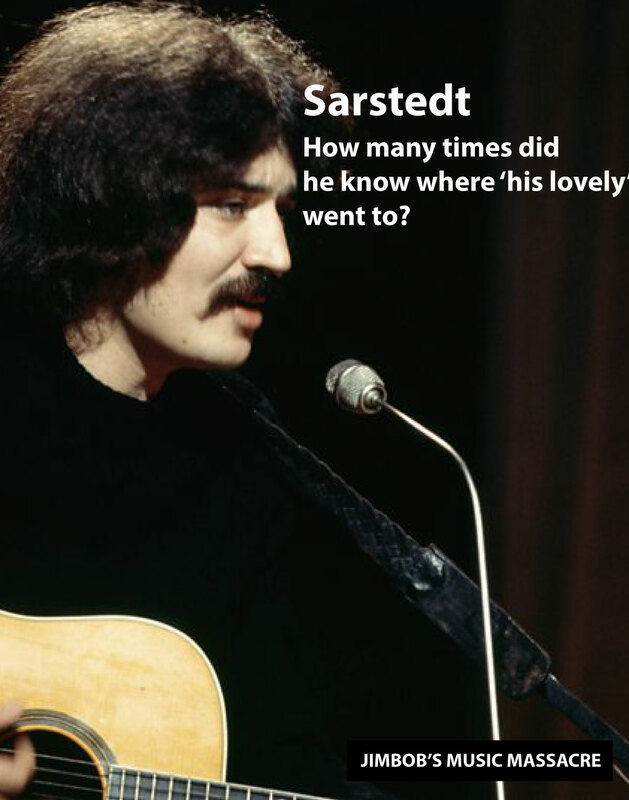 Peter Sarstedt is often considered to be a bit of a one-hit wonder (although fans might beg to differ) with his iconic track ‘Where Do You Go To My Lovely?’, which is addressed to the fictional character of Marie Claire and is peppered with high-end brand placements and namedrops that would make even today’s rappers blush. What do you do when you have a massive hit but none of your other ideas are getting any traction? You write a follow-up to your original of course. You try and create a franchise! In 1997 Sarstedt recorded a sequel, “The Last of the Breed (Lovely 2)” on his CD England’s Lane. This picks up the story of Marie Claire twenty years on, living now in London. It names more people and places, including Belgravia, Ballets Russes, Cape Town, Claridge’s, Gstaad, John Galliano, Harrods, Jerusalem, Long Island, Milan, Rudolf Nureyev, Palm Beach, Rio de Janeiro, and Isabella Rossellini. Well rumour has it that Sarstedt and a co-writer were working on a further sequel, “Farewell Marie-Claire”, in which the story was brought to a conclusion. The song was to feature the same waltz feel as the original. But Sarstedt’s retirement from the music industry meant that the track was abandoned. We would have loved to have heard that one!! Listen to JimBob’s Music Massacre’s take on the Lyrics to ‘Where Do You Go To My Lovely’ now!